Good morning, sweet friends. I’m so happy to welcome you into my home. We tend to keep things quite simple over here and hope to create a home where everyone who walks through the door feels welcomed and at ease. I hope you’ll feel the same. I rely on fresh greens a lot during the holiday season. You can pick them up for free in any tree lot and they add not only an amazing smell but such a sense of warmth. 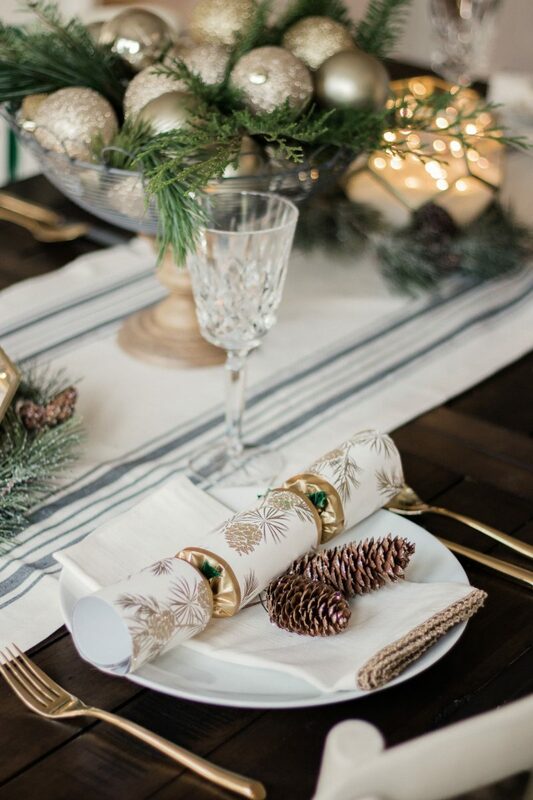 Each stool has a bundle of greens and a glittered gold ornament. I will usually only replace these bundles once during the season. A little trick I learned is to spritz them with water every now and again. I’ve also come to adore little mercury candle holders($20/set). They add such a gorgeous glow to anything. 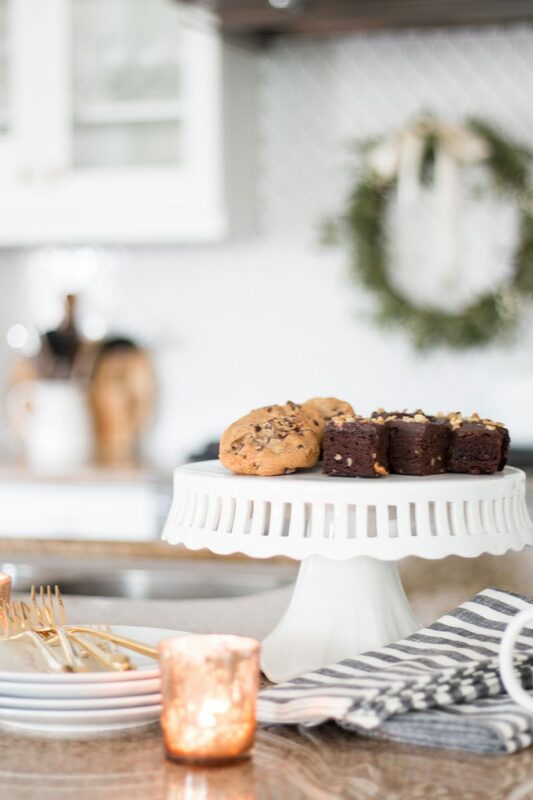 You can keep things simple but when you add candle light and a cake stand, suddenly things look more pulled together. My kind of gathering! The kitchen really is the hear of the home and we love spending time in here. The kids are always at this island after school for snacks and homework time. It’s one of my favorite parts of the day. You can find pendants almost identical to these right here. Our family room, kitchen and breakfast nook are all together which makes this space our favorite place to gather. This wicker chairs are from Ikea and have been a wonderful addition to the great room in case you are on the hunt. Very inexpensive and they add great texture to the room. Those of you who have been following me for quite some time know that we have had a gaping hole in our ceiling since we moved in to this home. At long last we finally have a chandelier and I could not be happier. We went with one that coordinated with our nearby pendants but with a slightly different shape. And we can see our dinner now! Even better! This is another option that is quite similar. To get this look I just took very thin wire and attached fresh greens around the chandelier. It took about 15 minutes to do and it’s my favorite holiday decor this year. Our new addition this year is the frosted tree. The family questioned me a bit until they saw it. It’s really so pretty and adds a warm glow to this space. It’s been a welcome addition for sure. 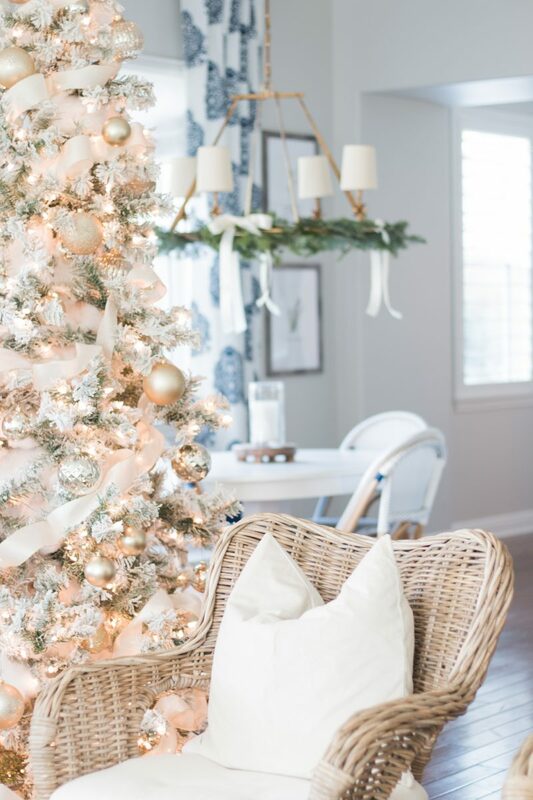 I shared inexpensive tips and tricks for trimming our tree in this post. We do still have a traditional family tree in our living room which boasts all of the ornaments made by our children as well as those I have from growing up. It’s the tree with all of the memories that is the special one but it sure is fun to have this glam version in here. 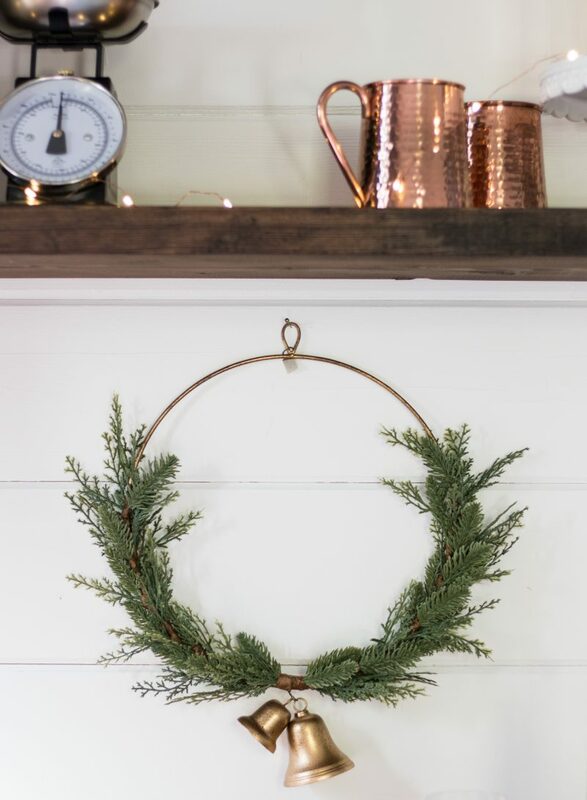 This was a garland from Joanna Gaines Hearth and Hand collection that I made into a wreath. So simple and a nice way to add some greenery to the windows. 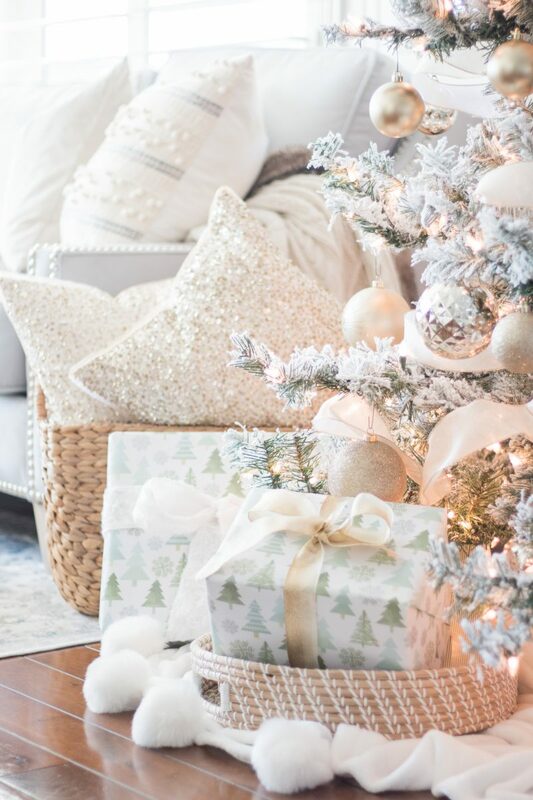 I opted to use a pom pom throw from HomeGoods beneath our tree this year. It’s an inexpensive way to wrap your tree plus it can be used year round which I love. If you are new to my blog today, you may not know that my husband and I recently converted a portion of our garage into a butler’s pantry. After our amazing contractor gave us four white walls, we designed and worked on the space ourselves. 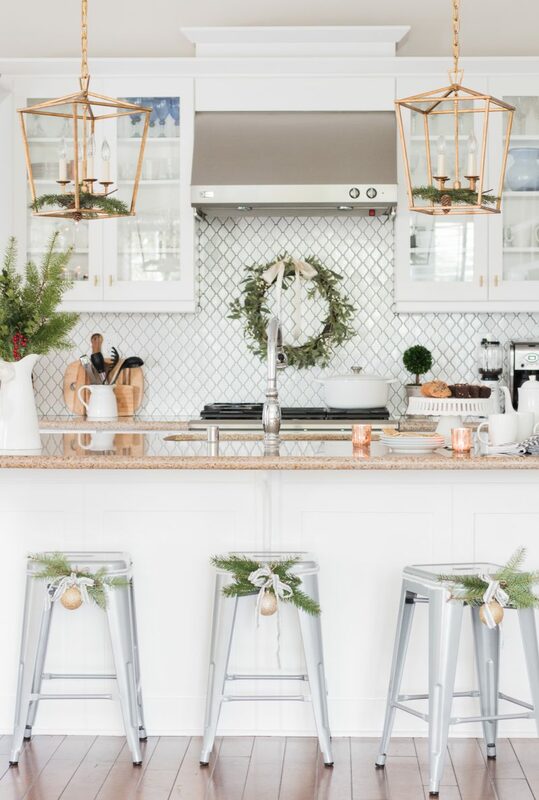 It’s been a true labor of love and it was so much fun styling it for the holidays. This space is just beyond our kitchen and anytime we entertain it surprises me to see so many guests hanging out in here. Our school house pendant light is currently on sale. To hang these little fresh wreaths, I didn’t do anything magical. I wrapped the ribbon over the top of the door and secured it with painter’s tape! That’s my secret weapon. It won’t hurt your paint but keeps the wreaths secure for the season. 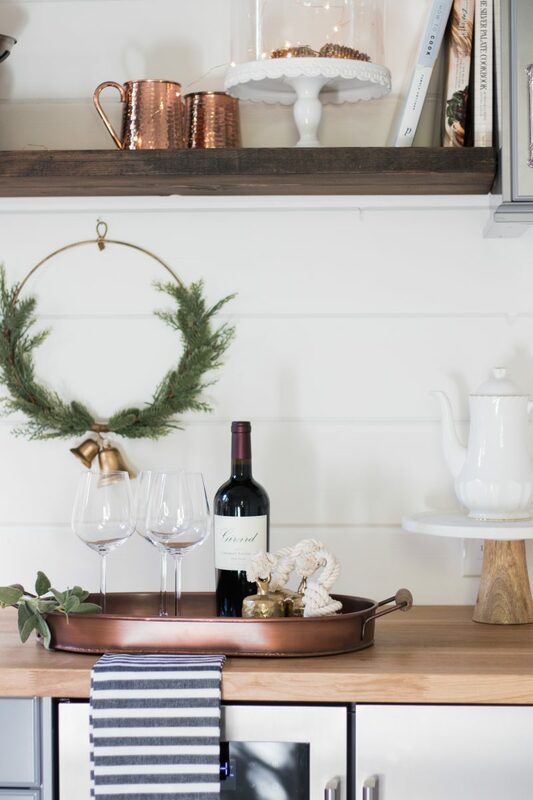 Here’s a sneak peek into our holiday dining room, too. Green was definitely the color I gravitated towards this year. Something very clean and classic about it to me. Thank you for joining me this morning! 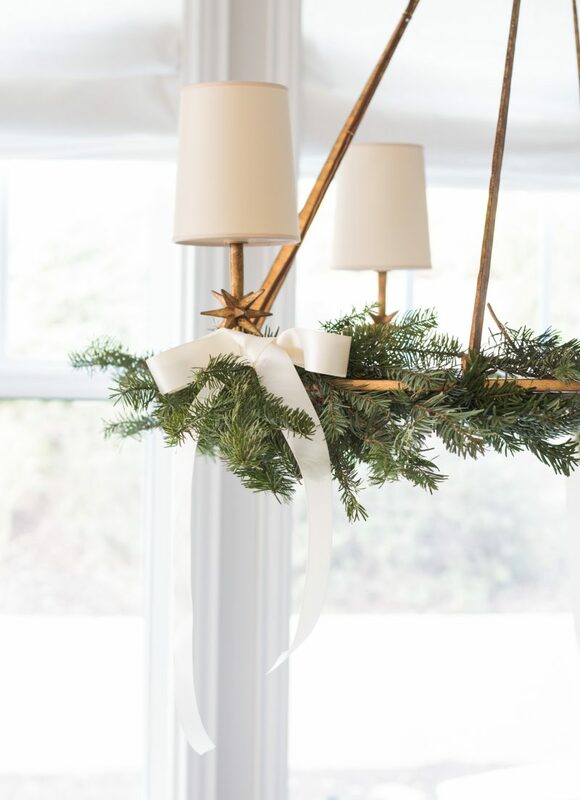 It’s always so fun to invite you in and share a little bit of how we get decorate this time of year. If you need me I will be pouring some coffee and then working on our Christmas cards. One of my very favorite thing to do. Love the flocked tree! 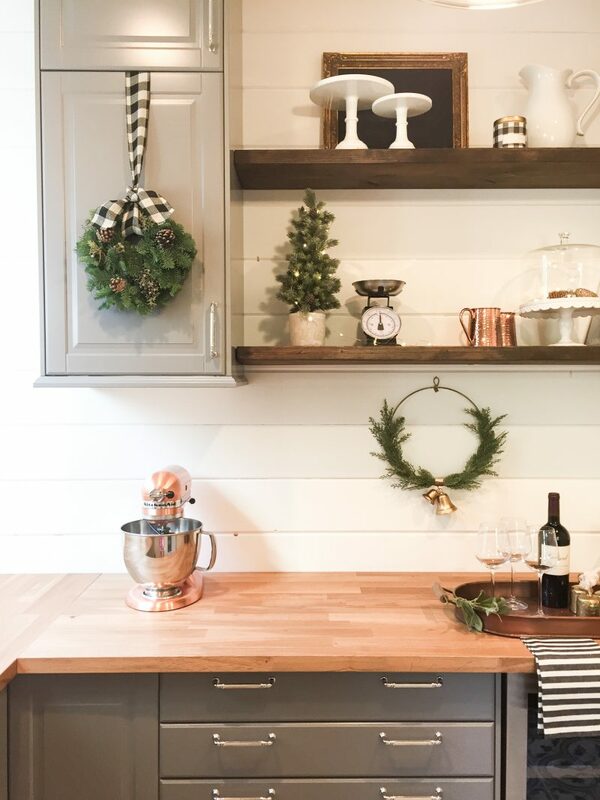 Maybe this is a silly question but how do you hang wreaths on kitchen cabinet doors, aside from using nails? Thank you so much, Sydnee. That is actually a great question so I added it in the post after you asked. I have a very easy trick! I just hang the ribbon over the door and use painter’s tape to secure it to the back of the door! No one ever knows and it comes off at the end of the season without harming the paint! Easy peasy. Everything looks so beautiful and festive! 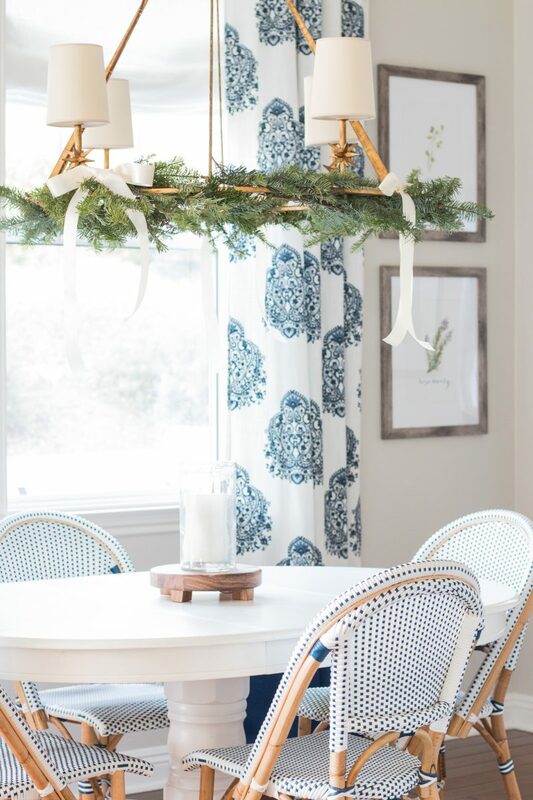 I’m obsessed with the greenery on the chandelier over your breakfast table!! Merry Christmas to you guys!! Thank you, Cassie! If only it could stay year round. Merry Christmas to your sweet crew, too. Thank you so much! I agree. . . nice change for sure. That’s a great idea to get fresh greens from the tree lot. My husband is allergic so we don’t get real trees anymore, but a little here and there won’t hurt right? HAHAH….. I love your flocked tree. They are my favorite. Glad your family trusted you to change it up. Sometimes families don’t like their traditions to be messed with. You know they bother my husband, too, so we try not to go nuts! I agree. Hard to mess with tradition so we still have a tree with all of our family ornaments. They were even more reticent when they saw my tree had glitter. LOL. Luckily it all turned out well. Merry Christmas to your family. Thank you for always being so kind and thoughtful. Simple elegance. This is also what I try to achieve in my own home, but not as beautifully as you have. Awe. Such a sweet compliment. I am sure your home looks beautiful. This is such a special time of year. Enjoy it with your family. Kaitlin! You are so nice. Thank you. Thanks for taking a moment to come visit. So the pantry still has a few more additions which is why I haven’t blogged about it. 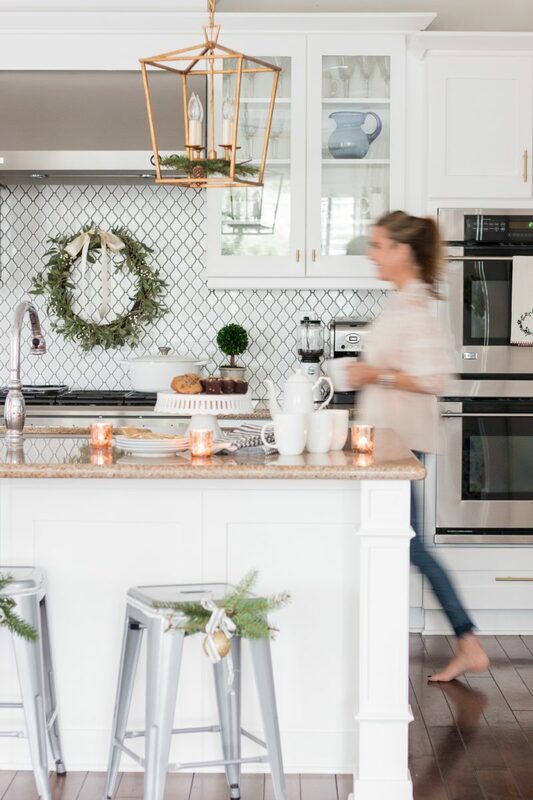 We wanted to take the holidays off from home projects so we can be in the moment. But stay tuned in January! Merry Christmas to you and your family. Looks so beautiful!! 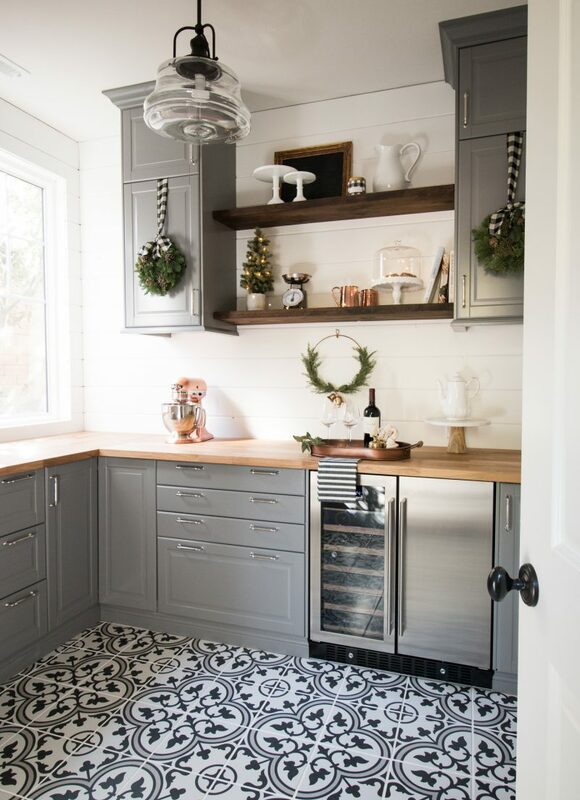 And, that pantry – gorgeous!!! Courtney, your whole house looks so lovely, warm, welcoming and happy. I love how you create that feeling with your decor, you are amazing! Your new light is gorgeous and the fresh greens look so pretty on it! 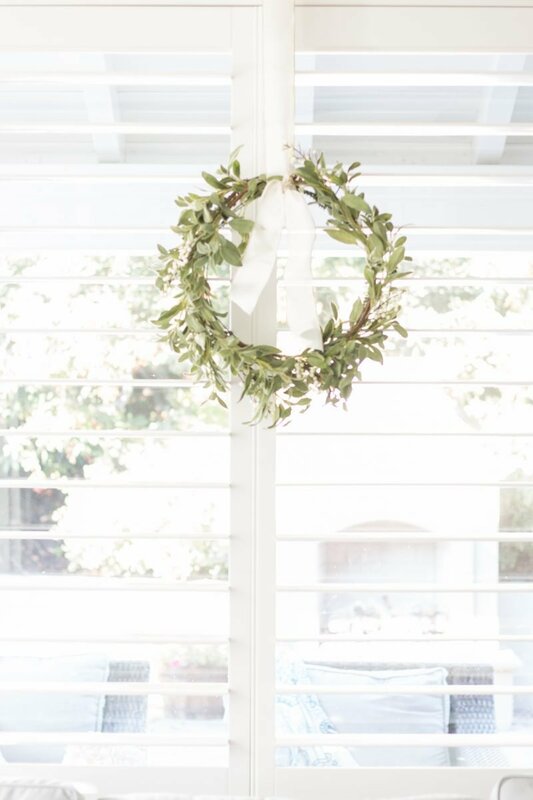 I love all of your wreaths and greenery! It looks so good! Your house looks absolutely gorgeous! 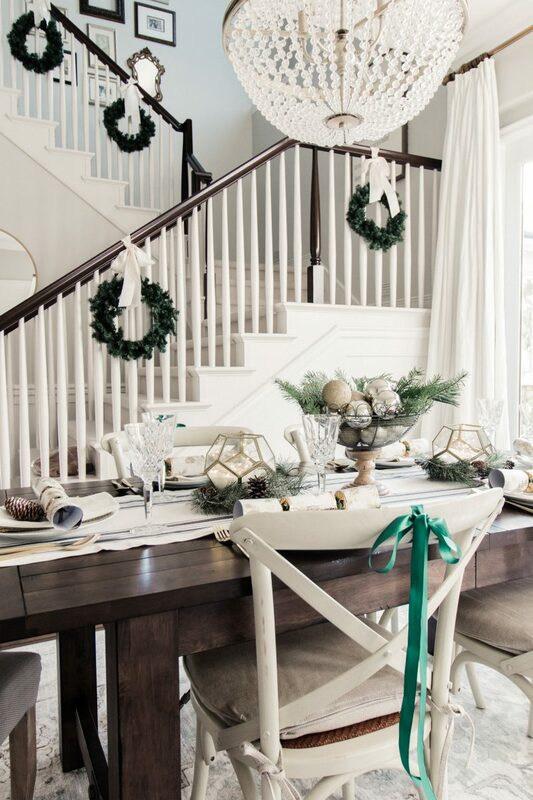 We have a similar banister and I’m stealing your idea of adding wreaths to spruce it up. Have a wonderful Christmas! Your home is absolutely beautiful, Courtney! 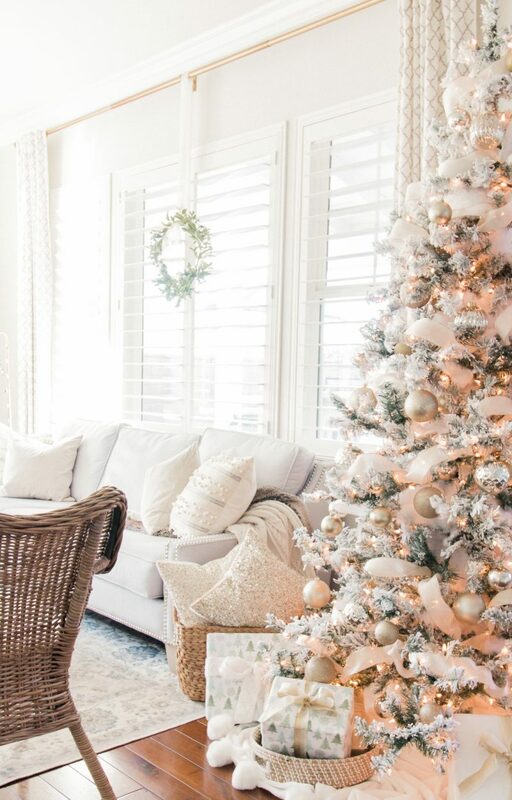 Love it all and it looks so warm, inviting and festive. So love your blog and your always upbeat and positive posts. 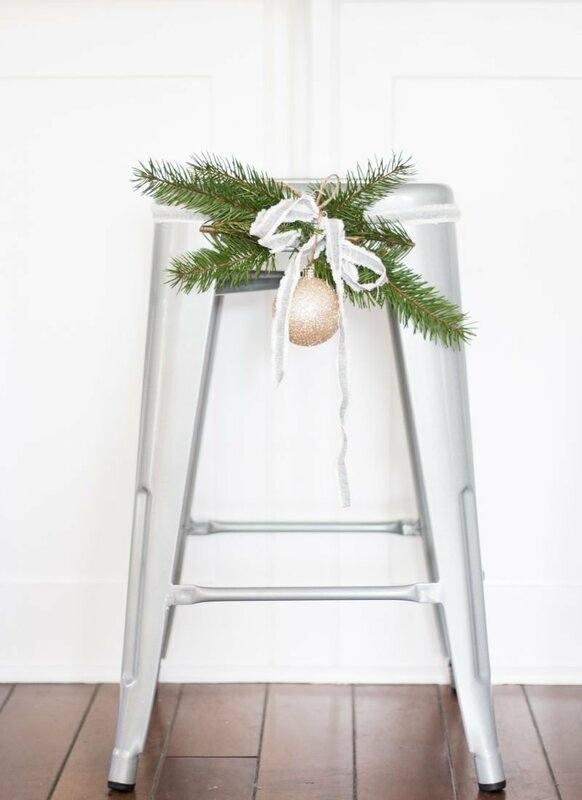 You are an amazing gift to those of us out here who love to get decorating (and sometimes just life) inspiration. Hope you and your beautiful family have a blessed Christmas filled with joy, laughter, happiness and wonderful memories. 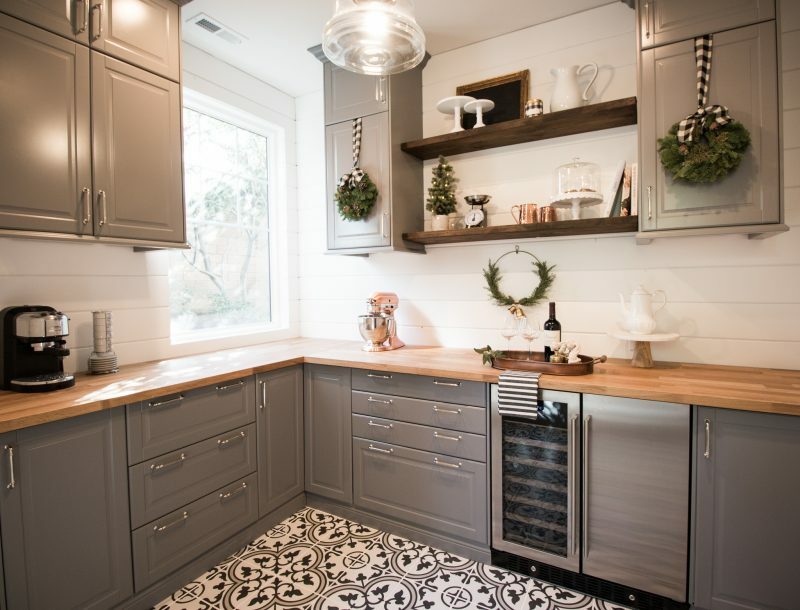 Your kitchen is just perfect! You decorated it just enough to keep it neat, merry and bright.